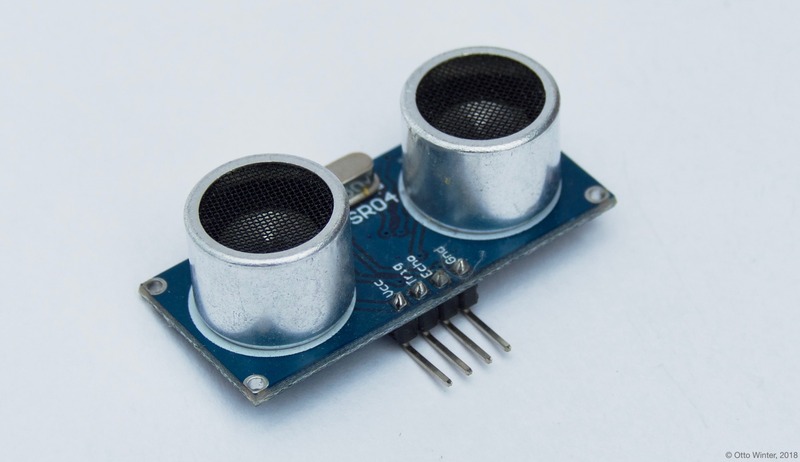 The ultrasonic distance sensor allows you to use simple ultrasonic sensors like the HC-SR04 (datasheet, sparkfun) with ESPHome to measure distances. These sensors usually can’t measure anything more than about two meters and may sometimes make some annoying clicking sounds. This sensor platform expects a sensor that can be sent a trigger pulse on a specific pin and will send out a echo pulse once a measurement has been taken. Because sometimes (for example if no object is detected) the echo pulse is never returned, this sensor also has a timeout option which specifies how long to wait for values. trigger_pin (Required, Pin Schema): The output pin to periodically send the trigger pulse to. echo_pin (Required, Pin Schema): The input pin on which to wait for the echo. name (Required, string): The name of the sensor. timeout (Optional, float): The number of meters for the timeout. Most sensors can only sense up to 2 meters. Defaults to 10 meters.